Through various initiatives, donations and partnerships, we care for the environment, the betterment of nature, assisting those in need, giving back to the horticultural industry and enhancing our social responsibility in South Africa. Gardening has unparalleled benefits and over and above helping South Africans create beautiful gardens, we make our contributions and live up to our social responsibility. 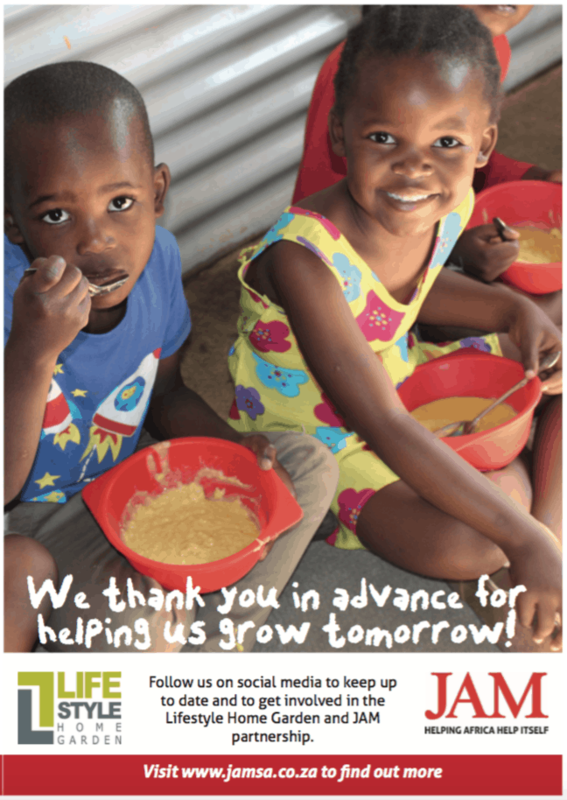 In 2017 Lifestyle Home Garden has decided to partner with JAM SA to change the lives of tomorrow! 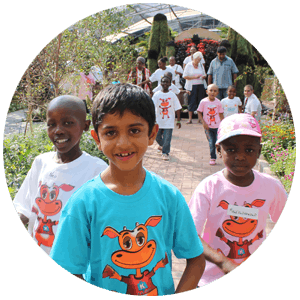 Through nutritional feeding, school makeovers, agricultural development and training JAM aims to change the lives of children in South Africa through holistic childhood development. Did you know two million South African children go to bed hungry every night and many are not reaching their full potential? JAM South Africa intends to change that statistic through its nutritional feeding programme that also encourages children to attend Early Childhood Development centres, setting them on the path towards reaching their milestones. One Red Bowl can change it all! Pam Groen, our PR manager, handed over some edible plants to Karmia Postma a Miss Earth Regional semifinalist for one of her conservation projects. What a joy to contribute valuable plants to an individual determined to make a difference to this earth, people’s lives and social responsibility in South Africa! 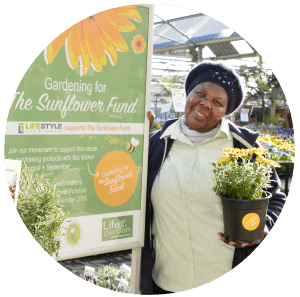 During August and September 2016 Lifestyle Home Garden donated to and supported The Sunflower Fund, by purchasing Sunflower Fund stickers and labeling our products for a wonderful Life is a Garden initiative called Gardening for The Sunflower Fund. 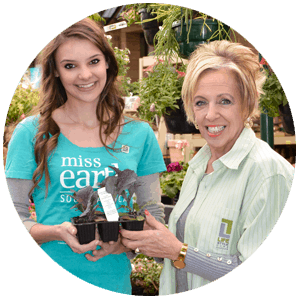 Customers who purchased a product with the Gardening for The Sunflower Fund sticker could send a picture of their product to Life is a Garden via Facebook and could have won a voucher to their local GCA garden centre. Whilst consumers had fun and awareness was raised, all the funds from the stickers bought in the industry were donated to The Sunflower Fund. In 2000, Lifestyle’s third year of the annual Garden Show, the principal of the Lifestyle College approached Sadie Cutland of CHOC Childhood Cancer Foundation about helping to raise CHOC’s profile while simultaneously helping to raise money for this worthy cause. Prior to 2000, Lifestyle had been involved with other charities, but CHOC was identified as a most worthy and needy cause. “It is all about people working together having the same ideals, same goals, and the same commitments”, which is why the CHOC and Lifestyle relationship developed and has subsequently blossomed into a partnership raising over R1 000 000 since the start of the project. 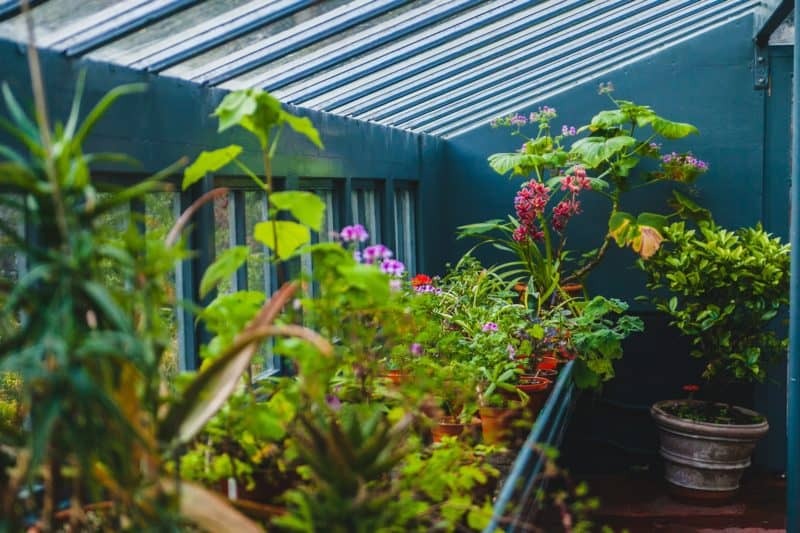 For the 16 consecutive years, CHOC and Lifestyle Home Garden partnered together, raising funds from the sale of the annual Garden Show portfolio. The funds raised from the sale of the portfolio were used to purchase medical supplies and equipment, provide transport and support to ensure that appointments and treatment sessions are attended and to upgrade and maintain the CHOC home. Lifestyle Home Garden has additionally provided continuous support to the CHOC House Garden, helping to create the wonderful ambience by donating plants and seedlings.